Discoveries from the forest floor and beyond. 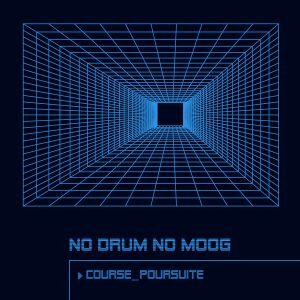 Course-Poursuite, released in 2018 on Chez.Kito.Kat Records. If No Drum No Moog is lacking anything, it’s neither drums nor synthesizers. They bring both in equal measure to their unique brand of synthwave space rock, and not digital ones, either – real, acoustic drums and real, analog synths. In an elegant fusion of these principal elements they’ve crafted a great instrumental soundtrack to either your next highspeed interstellar chase or your more laidback suborbital flight. © 2019 Face of the Forest. Using Wordpress with the Manifest theme.